As mass protests continue in Egypt, the situation for the cultural heritage of the country is getting somewhat clearer. This short post is just intended to inform that the heritage situation is monitored at several websites. Most museums and archaeological sites now seem to be guarded and safe after looting and vandalism took place as the unrest began 10 days ago. 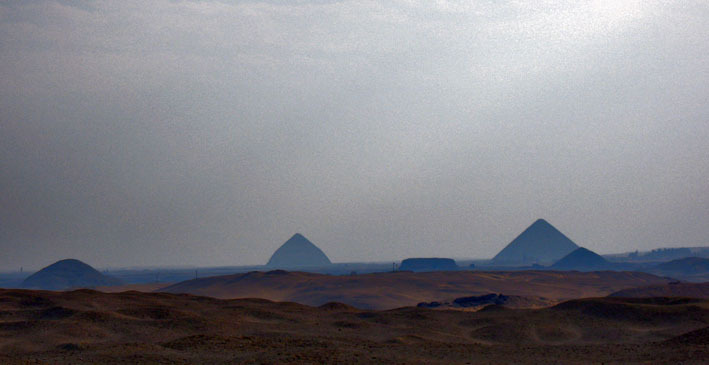 However, there are very contradicting reports on what has happened at the pyramid sites of Saqqara and Abu Sir. Also, there are contradicting views on who have actually been responsible for the looting. As for ancient quarry and rock art sites there are no reports, except that the Unfinished Obelisk site in Aswan appears not to have been affected by the troubles. Many foreign archaeological missions have had to leave Egypt already, but several are still working in quiet parts of the country. As far as I’m concerned, the richest coverage of the cultural heritage situation can be found on the Egyptology News blog by Andie Byrnes. Here there are also numerous links to other sites providing information. At the official site by fresh Egyptian Minister of Antiquities Zahi Hawass there are daily updates, at the moment toning down the damages at heritage sites. Let’s hope he is right – and that Egypt’s revolution will turn out to the best for a suffering people. This entry was posted in Ancient Egypt, Archaeology and tagged Cultural heritage, Egypt, Turmoil. Bookmark the permalink.